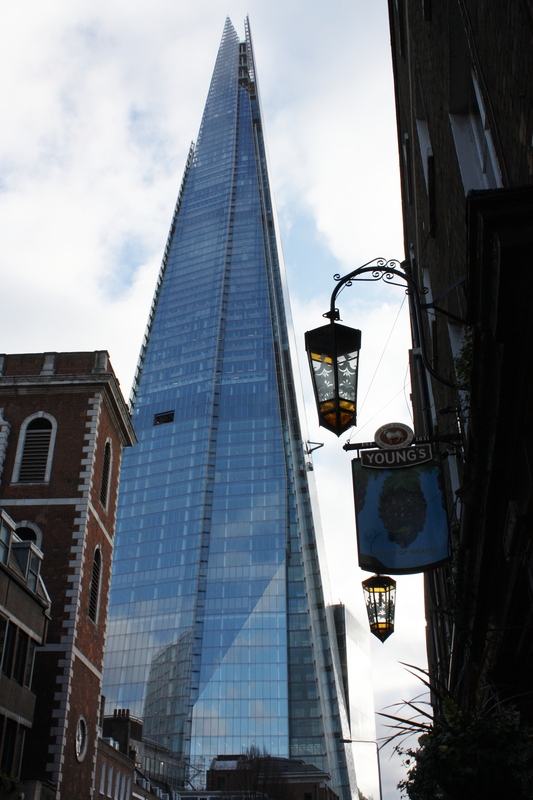 London has the tallest building in Western Europe ~ The Shard, the masterpiece of architect Renzo Piano. 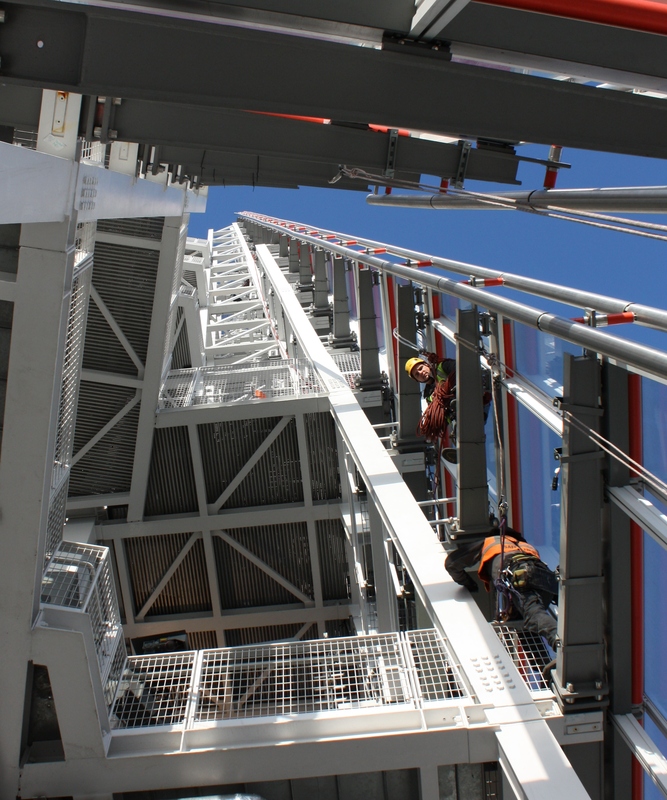 It rises to 1016 feet (309.6m) high. The building is not without controversy among some Londoners ~ many despise the avant-garde style architecture. Much like they disapprove of the other modern buildings in London such as City Hall (aka Darth Vader Helmet) and the Gherkin. While the modern buildings are shunned in many European cities such as Paris and Vienna, London has embraced newer architectural styles which co-exist and compliment the historic buildings. I wouldn’t want to see a New York style skyline develop in London but one or two of these buildings are interesting and thought-provoking. The Shard consists of office space, the Shangri-la Hotel (floors 34-52), luxury residences each with 360° views (floors 53 to 65), and observation decks at levels 69 and 74 (about 800 feet). The additional 15 levels to the top consist of the spire. Interestingly, 95% of the construction material is recycled. The majority stockholder of the Shard is the State of Qatar. Seems Qatar is investing quite a bit in London’s commercial real estate market. They purchased the US Embassy and the Embassy will be relocating in 2016/2017 to a more modern and secure building. 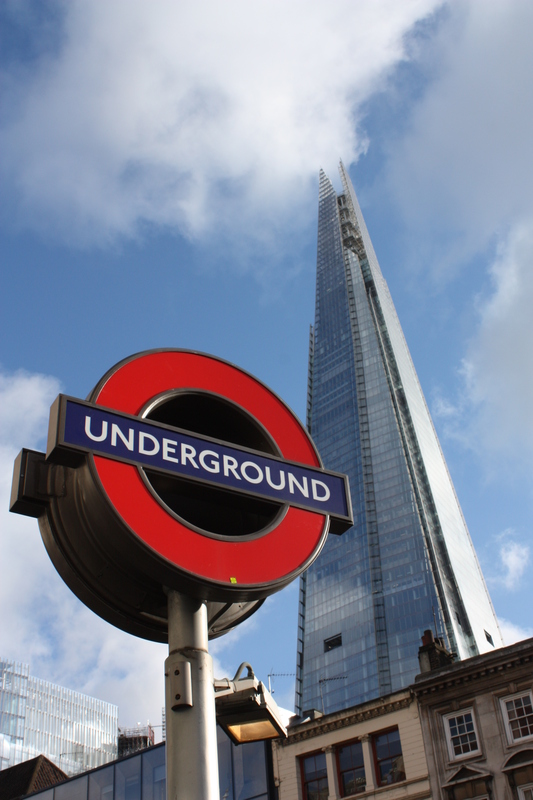 Today was the second day The Shard was open to the public and we were happy to be heading up to the top at 9am. I bought my tickets over a month ago ~ took a chance we would have decent weather and we did! Although the sunny skies were beautiful and we had unimpeded views, a little cloud cover would have helped beat the glare on the windows. Not only was London on view but many of us were fascinated with the workmen rapelling at the top of the building. Not sure exactly what they were doing but it’s not a job I would do. I enjoyed my morning at the top of The Shard and marveled at the gorgeous views. To book tickets, which are £24.95 for an adult and £18.95 for a child, click here. We went during the first time slot because I’m adverse to large crowds but photo opportunities would probably better when the sun is overhead so you don’t get a glare on the windows. I had no knowledge of the Shard. WOW! It is so different from what I would think of as London but it is stunning. What a view! Have to say I’m a fan of the older architecture, mostly because I love the design details as well as the history of the buildings. Having said that, it’s still pretty cool to see some of these very interesting looking modern buildings around town. There is some nice geometry here, particularly in the first large one with the circle and the spire. The third large image has an interesting spiral to it, like a stairway. Thanks! London offers some great photo opportunities. Also, I learned how to do “the gallery” from your blog so thanks for that too. Cool photos! Glad Logan was able to go since she missed out in DC. Thanks ~ glad you liked the photos. Logan enjoyed the top of the Shard. Have to say, she’s still a wee bit bitter about the Washington Monument ~ especially since it hasn’t re-opened yet.